Product information "PA-iM871A - Wireless M-Bus Analyzer"
The 'Wireless M-Bus Packet Analyzer PA-iM871A' (Version 1.8) supports the monitoring and analyzing of Wireless M-Bus traffic according to EN 13757-4 and has an extended range of feature. This tool provides an easy to use graphical user interface for rapid troubleshooting and maintenance of your Wireless M-Bus network. 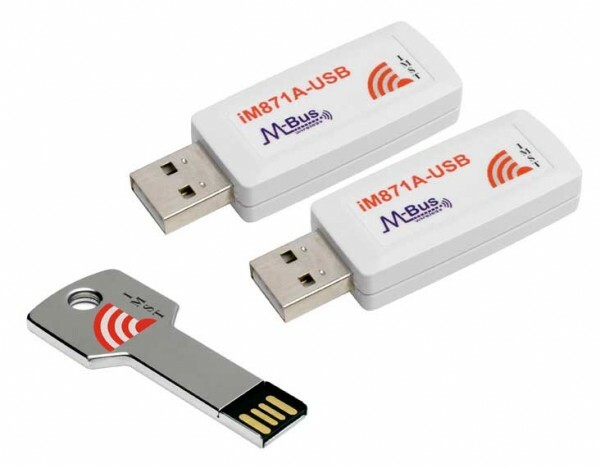 Long time packet capturing and packet visualization for many Wireless M-Bus configurations can be managed with only a few mouse clicks in combination with the PA-iM871A, a Wireless M-Bus USB adapter. The Analyzer supports single- and dual-radio modes for monitoring of up- and downlink channels with different physical settings in parallel. Decryption support enables to inspect also AES-128 bit encrypted packets. Flexible packet filtering and data visualization allows an easy and efficient way for troubleshooting and validation of complex wireless network configurations. With respect to the ETSI regulations a traffic monitor for duty cycle evaluation completes the list of supported features. Related links to "PA-iM871A - Wireless M-Bus Analyzer"
Customer evaluation for "PA-iM871A - Wireless M-Bus Analyzer"